The San'yas Indigenous Cultural Safety Training program uses blunt talk to confront racial bias in Canadian health care, with the goal of making care safer and more accessible for Indigenous patients. This segment originally aired on December 17, 2016. A lot of people assume that when they call an ambulance or head to the ER, they're going to a safe place where they'll be treated with respect. It's not something all Canadians take for granted. "The hospital is probably very safe for you, a middle-aged, affluent white man," Cheryl Ward tellsWhite Coat, Black Art host, Dr. Brian Goldman. "I can tell you horror stories.... My own mother experienced overt racism, violence and was treated like she wasn't a human being," said Ward, who is Indigenous, as well as the B.C. provincial lead for the San'yas Indigenous Cultural Safety Training Program. 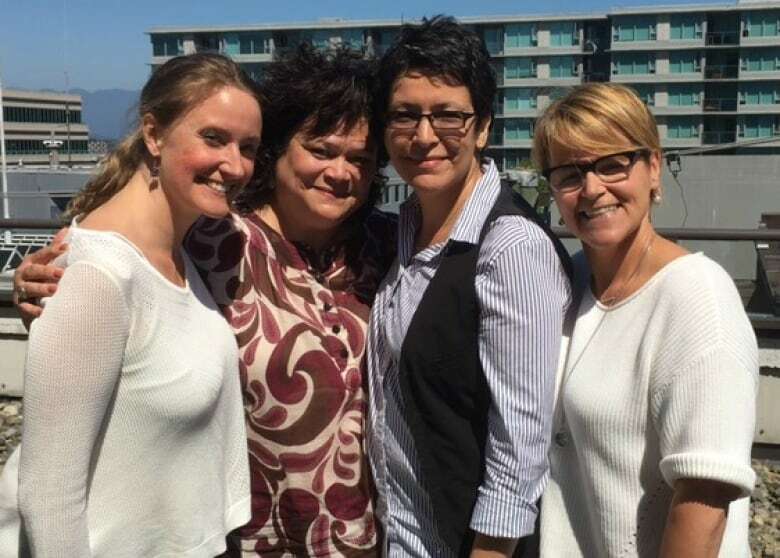 Left to right: Chelsey Branch, Cheryl Ward, Rain Daniels and Laurie Harding of the San'yas Indigenous Cultural Safety Training course team. On the day her mother died, Ward didn't make it to the hospital in time to say goodbye. But when her family arrived with plans to carry out traditional rituals, they found her room cleaned out and her belongings packed away. "My auntie said the nurses had come in and said they wanted to make sure they could look at everything that was taken out of the room before we left," said Ward. "So the implication was, we were a bunch of thieves, that instead of grieving and doing our own protocols, we'd be concerned about stealing what ... gloves, Kleenex? It was the moment our mother passed away, and I'll never forget that as long as I live." The most common stereotype associated with Indigenous patients is that they are alcoholics, said course facilitator Rain Daniels. Adding, "it's far from the only one." "I simply don't care about my health. I might lie to you so I can get drugs. I don't feel pain, so if I am asking for medication for my pain, I might be lying," Daniels said, listing off biases she and other Indigenous people face. "What happens when we are faced with reports and data and statistics that show us that Indigenous people have a different reality in Canada. What do we do about it?" Ward asked. The San'yas training program confronts those biases head-on. According to the description on its website, the training is designed to "increase Aboriginal-specific knowledge, enhance individual self-awareness and strengthen skills for any professional working directly or indirectly with Indigenous people." One of the first things participants are asked to do is identify themselves, using language such as "I'm a white settler." Ward admits it can make people uncomfortable. "A complaint went right up to the top because this doctor was being asked to identify as a white man, and he didn't like that. So he used his white privilege to create a lot of problems for us." The real aim of the program, she says, is to make people aware of their unconscious biases. "No healthcare worker got up in the morning and said, 'Gee, I think I'll discriminate against an Indigenous family today,'" she said. "That never happens. We have to understand the context for this." More than 48,000 people have completed the San'yas training since its launch in 2010. In addition to B.C., the program has expanded to Ontario and Manitoba. Dr. Marcia Anderson DeCoteau spoke to White Coat, Black Art from the Winnipeg studio, with her daughter Myla. Dr. Marcia Anderson-DeCoteau is one of the people working to bring course to Manitoba. 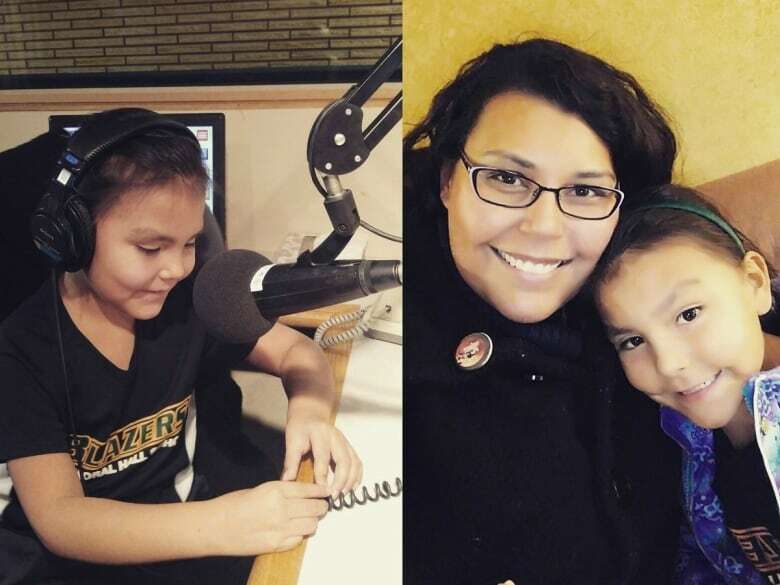 She was a guest on White Coat, Black Art when it aired a program called First Nations, Second Class Care. At that time, she spoke about her experiences as an Indigenous physician and the racism her own father experienced in the health care system. Anderson-DeCoteau is hopeful this training will help her health care colleagues confront racism when they see it. "In the WRHA (Winnipeg Regional Health Authority), it is considered more acceptable to say something racist than to challenge someone on saying something racist," she said..
"I did a talk about a year ago for a family physician education day in Manitoba ... and on the evaluation one of my physician colleagues had written something like, 'Well, clearly residential schools worked, because you're educated now.'" She had no recourse to confront him. "There's no way to respond to the person or enter into a dialogue. The real advantage of the online facilitated course is there's an opportunity ... to openly discuss biases they have." She says while the health care system has far to go, she's had some difficult, but rewarding conversations with co-workers in recent months about their own biases.